Please join UUCP for today’s service at 10:30 a.m. led by Rev. Paul Dodenhoff. The issues that confront us as individuals, as families, as a nation, and as a planet increasingly call for constant re-evaluation of our attitudes and the way we regard those issues. 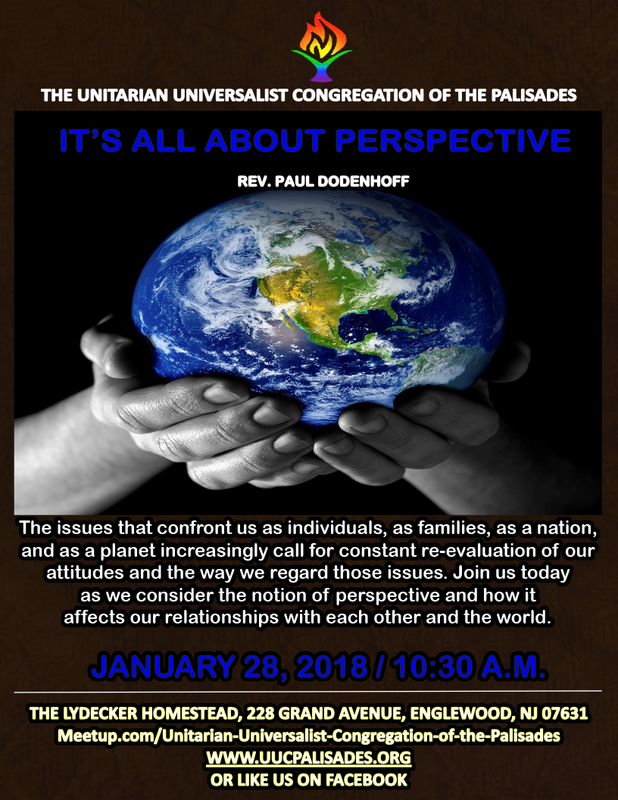 Join us today as we consider the notion of perspective and how it affects our relationships with each other and the world.